Just finished an interview with The Guru Nation . A free business information resource. The philosophy is the best learning happens through a network of human connection, unedited conversation, and continuous collaboration. Unfiltered content and access to expert advice is fundamental to professional development, performance, and capability. The Guru Nation was created for those who want to learn, grow, expand their experiences, and learn from the masters. Check out the highlights and check out the taped interview for more info. - What do you do when your resume looks "jumpy" even in this market? 2) Heavy-up on the key words. Many people have heard about the importance of keywords. With the new recruiting software that most companies use, the avalanche of resumes has resulted in more database sorting based on job titles, company names, categories and key words that highlight desirable skills (technical software - leave out Microsoft office proficiency. Include competency with HTML, Photoshop or other higher proficiency software. Include any industry related Blogs or websites that you have but anything that is personal omit (Facebook, personal or "whiney" Blogs). Job Titles - make sure the job titles are common names (e.g. Account Executive vs. Customer Support Manager) or include the common name next to the accurate title. Job Description - include industry terminology - CRM, SEO, Search, Media Analytics for example vs. Interactive experience. 4) Don't make the recruiter work too hard. What are you looking to do (what can you do for me) and why are you better than anyone else? If you want to do something different from what you did before it has be quite clear at the top of your resume. The job highlights should focus on the skills and success that would be valuable in the new role (going from traditional to a digitally focused role). Recruiters are looking for a quick scan of what you do better than everyone else. Stay focused on presenting your success, innovation and problem solving skills. 5) It is not a surprise that the demand now is for digital talent. If you have not been working on a lot of digital work at least present a resume of someone that is interested or better yet, passionate about the space and has done some homework (e.g. research, training) - you must portray in your resume a comfort and aptitude in the area. For example, show that you have done some of your own training by creating a Blog and twittering on digital topics and showing your POV on campaigns and consumer attitudes around digital. 6) bonus - If you see a job online the best way to approach it is to find the three area of entry. You must submit online - so that recruiters, other employees, hiring manager. Sometime (most times), even if your resume is perfectly designed and clearly written you may not get a call. You may just not be right for the role. There are many others that get lost and not picked up by technology or due to the design and wording. Check out this article. It lays out a common problem that I see with candidates that don't know how to package up their experiences and skills in a way that sells their value to hiring managers. What's the Best Strategy for Asking for a Raise? As baby boomers begin to retire, companies are offering bigger salaries and better packages to gain and retain the best employees. Now may be the perfect time to ask your company for a raise. Get the facts and figures to justify your request for more pay. Check out websites that have salary information. Do some research to see what people in your position typically earn. Speak with your colleagues and check out recruitment ads. If you realize that in Chicago, your job typically commands between $45,000 and $55,000 and you're only at $40,000 -- it's much easier to make your case. 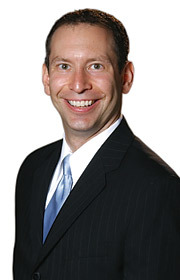 Brad Karsh is president of JobBound and JB Training Solutions. He spent 15 years at Leo Burnett in Chicago. 2. PROVE YOU DESERVE THE MONEY. The best way to do this is to bring in your accomplishments and what you plan to do to earn your new salary. It makes your case even stronger if you can say, "I helped us win X account, which brought in more than $3 million in incremental revenue. In addition, I will be managing a team of 20 this year, so I believe I have earned a raise of $20,000." 3. TALK TO THE RIGHT PERSON AT THE RIGHT TIME. Your boss might not be the one who determines whether you get a raise. You want to do whatever you can to state your case directly to the decision maker. Similarly, you want to talk about a raise in a private meeting where there are no other distractions or business to talk about. 4. BE DIRECT, CONCISE AND ASSERTIVE. Too many people beat around the bush or sound too wishy-washy when it comes time to actually ask for the money. One of the biggest mistakes you can make is failing to prepare yourself. CANDIDATE A: "Well, I know times are tough, and you probably have a lot of deserving people around here, so I was hoping, if it's possible, that I might be able to get a raise?" CANDIDATE B: "Lori, as you know, I've been a critical member of our team. In the past year, I've solely managed the X account, eliminated our billing discrepancies and filled in for two employees on maternity leave. I think you'd agree that I deserve a raise." Requesting a raise isn't always the only or even best way to get more money. Since promotions usually come with more money, requesting a promotion may be easier. As for counteroffers, sometimes even the thought that you're interviewing can spur a company to give you a raise. But proceed with caution. Some companies may see this as a way to kick you to the curb. Before having the money talk, also evaluate your level of job satisfaction. Consider creative options and other benefits to improve your situation if your salary is non-negotiable. Might an extra week of vacation or the ability to work from home make you just as happy? Ask for a raise the right way, and you stand a good chance of getting the money you deserve.